The biomarker-driven, umbrella-design trial, which initially launched in 2014, previously enrolled patients with advanced-stage squamous cell lung cancer. It was originally designed to evaluate 4 novel targeted agents and one immunotherapy agent compared with standard-of-care regimens in separate, randomized substudies. Since its inception, Lung-MAP has registered nearly 2000 patients and is offered at more than 650 medical centers and community hospitals in the United States. The study can be opened at any institution within the NCI’s National Clinical Trials Network. 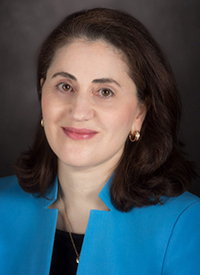 "We have more than 200,000 new cases of non–small cell lung cancer in the United States each year, and we desperately need new treatments," said Lung-MAP principal investigator Vali Papadimitrakopoulou, MD, chief of thoracic medical oncology and professor of medicine at The University of Texas MD Anderson Cancer Center, in a press release. "When most people are diagnosed with non–small cell lung cancer, their cancer has already grown and spread to other organs. If standard therapies don't work for these patients—and often they don't—they need alternatives. Lung-MAP provides those alternatives." In Lung-MAP, patients are assigned to substudies based on their genomic profile; more than 200 molecular abnormalities are analyzed before enrolling patients on substudies with targeted therapies that match their genomic analysis. Beyond the inclusion of all NSCLCs, which comprise approximately 85% of all lung cancer cases in the United States, additional updates will be made to the trial in 2019, according to the press release. First, a new screening protocol will include the addition of liquid biopsies and a consent form that combines both screening and prescreening as an easier method for patients. An additional 2 drug substudies within Lung-MAP is scheduled to open in early 2019; one will evaluate a PARP inhibitor and the other will test the combination of a PD-L1 inhibitor plus a VEGF inhibitor. SWOG stated that 2 more substudies are in development and are planned to open later this year. Moreover, a new mandate will require hospitals, clinics, and other sites that choose to open the Lung-MAP trial to use the NCI's Central Institutional Review Board to oversee trial changes. This move will potentially allow a speedier process of opening the study and registering patients. A 2015 revision allowed the trial to investigate 3 targeted agents in single-arm, phase II substudies for patients with matching driver mutations.2 These included taselisib for patients with PIK3CA mutations, palbociclib (Ibrance) for cell cycle gene alterations (CCGAs), and AZD4547 for those with FGFR mutations. LUNG-MAP Precision Medicine Trial Expands To Include More Patients. Lung Cancer Master Protocol. Published January 29, 2019. https://bit.ly/2HD4GLf. Accessed January 29, 2019. Herbst RS, Gandara DR, Hirsch FR, et al. Lung Master Protocol (Lung-MAP)—A Biomarker-Driven Protocol for Accelerating Development of Therapies for Squamous Cell Lung Cancer: SWOG S1400. Clin Cancer Res. 2015;21(7). doi: 10.1158/1078-0432.CCR-13-3473.